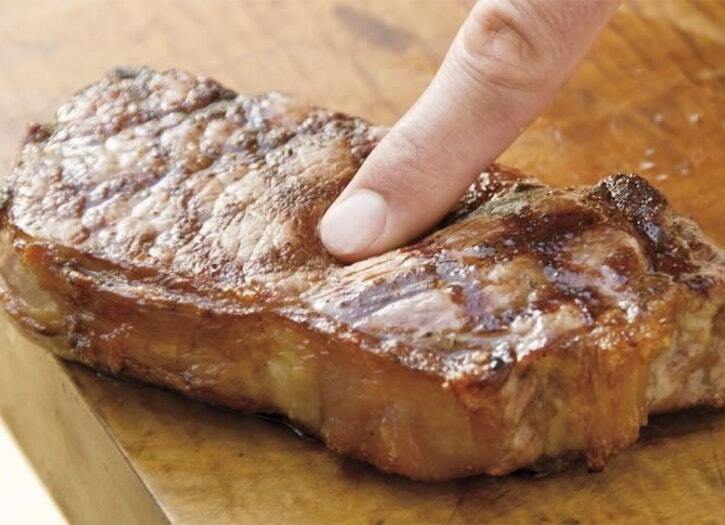 Another popular method is to press the surface of a steak with your fingertip. When the meat is no longer soft, but is not yet firm either, you know a steak has reached medium-rare doneness. 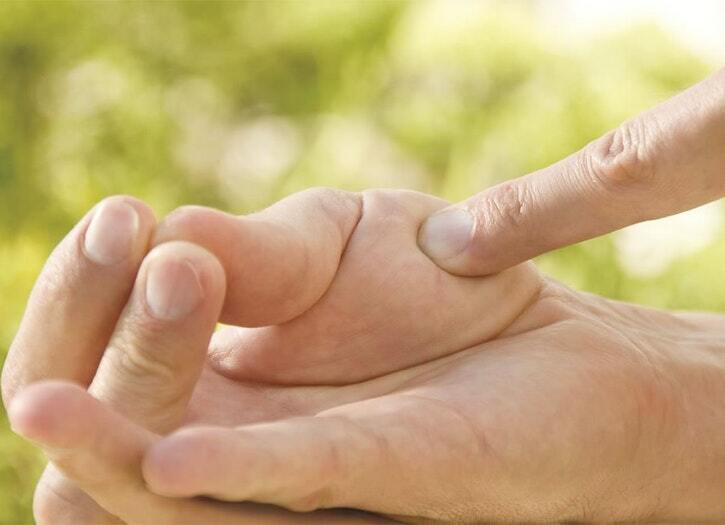 Most raw steaks are as soft as the base of your thumb when your hand is relaxed. If you touch your index finger and thumb together, and then press the base of your thumb, that's how most steaks feel when they are rare. 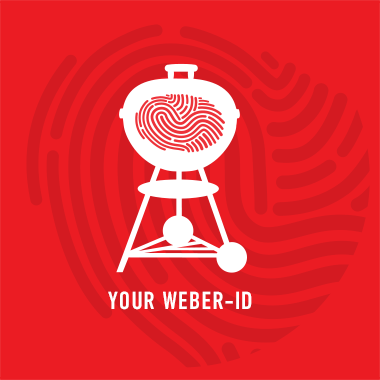 If you touch your middle finger and thumb together, and then press the base of your thumb, that's how most steaks feel when they are medium rare.